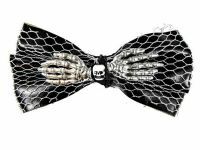 Hairy Scary Black & Siver Web Bow Skull w Silver Skeleton Hands Skulleton Hair Clip [HS04BlackwSilverWebSilver] - $12.00 : Mystic Crypt, the most unique, hard to find items at ghoulishly great prices! 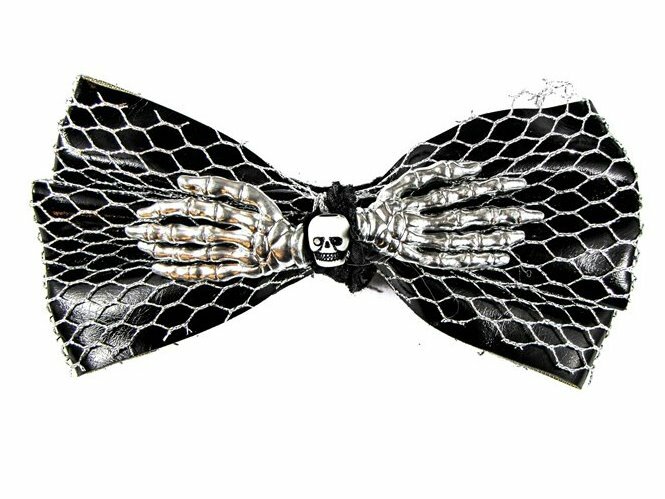 Hairy Scary Black & Siver Web Bow Skull w Silver Skeleton Hands Skulleton Hair Clip. This is a skull and skeleton hand hair clip, called Skulleton. The length of this hair clip is 4 1/2 inches by 2 inches. They are all handmade, with different color hands and skull bead. (see picture) The base of the Skulleton is a bow, and each bow is adorned with a pair of skeleton hands and skull bead in different colors. (see picture) On the back there is an alligator clip for easy use, covered with felt for comfort. 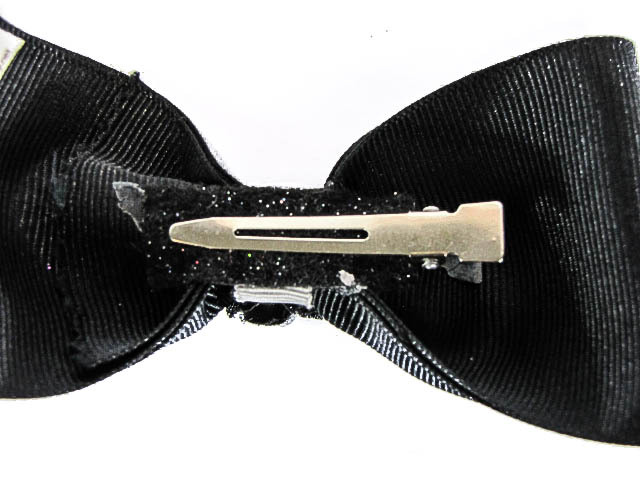 Easy to clip in hair, and stay on all night! Handmade in the USA by Hairy Scary! Since they are all handmade, there are slight variations. Skulleton's come in all different color varieties, please check them out.